presents " Show your colours! " 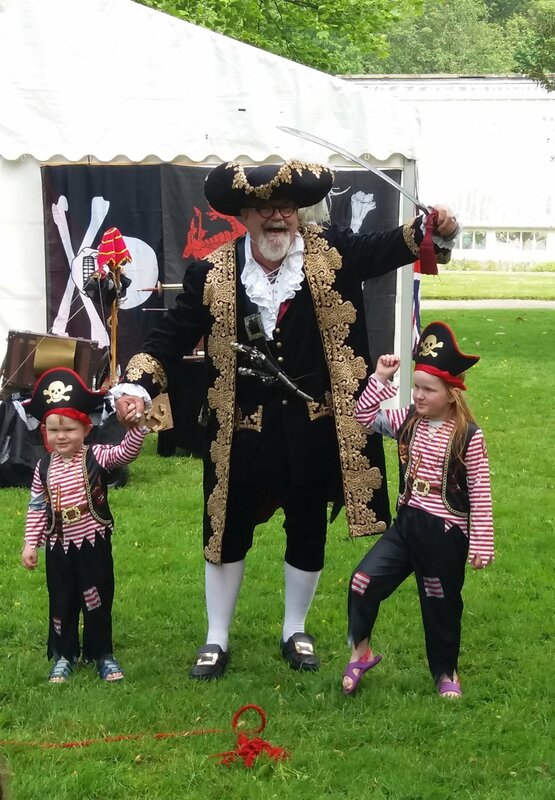 Pirate Captain Perilous Pete offers accolade winning shows that have played at the UKs’ most popular seaside country park, featured at Tredegar House, the home of Captain Morgan at Waterfront Festivals, Fetes and Shows, the length of the country. He’s the scourge of the Severn Seas, this rumbustious rapscallion, tells a tall tale of the sea, recounts history of the Pirates and Buccaneers and sets sail on a cruise of discovery to find a new crew... " don't ask what happened to his old one... it'll mean a lashing ! This international famous circus skills show is full of audience participation for all the family with rope tricks, water suspension, sword balancing, confetti canons, broadsides, cabin boy castings, whips of course! and more fun and merriment that you can throw a canon at .. did we mention the canons? This new for 2019 seafaring show, takes the audience on a journey beyond the horizon as they try the living conditions and skills and strengths needed to be a real Pirate with games, challenges ,sea shanties and a jolly good lashing to finish them off. This versatile award winning performer noted for the cut of his gib and the lace of his cuffs offers cabaret and stage shows and walkabouts. 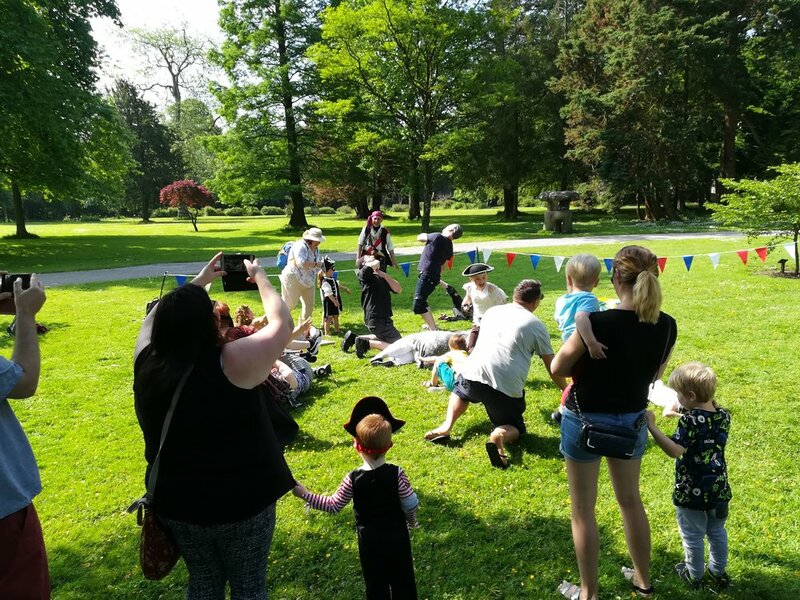 — Andy Capstick Margam Park " Pirates of Port Talbot"
2 x 35 minute shows and 1 X 45 minute Walkabout sets per day – event dependent. Free parking required adjacent to performance area for a medium sized van . Clean, secure & private changing space required. PA and radio mic required or a PPA is available for smaller venues. So you want to be a Pirate Eh? 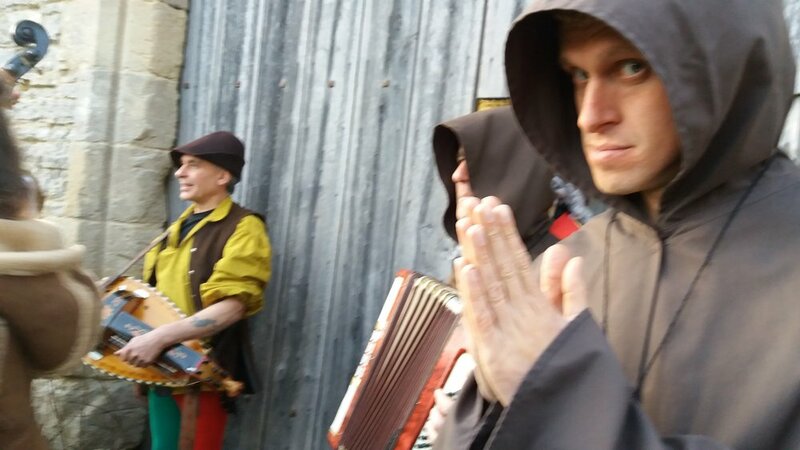 In addition to Captain Perilous’s walkabout workshop, we also have the services of Ist Mate Pennyfeather, teacher of sea shanties, teller of stories , player of games, tyer of knots, teller of tales , dancer of gigs and he plays an authentic hurdy gurdy to boot! The Aquanaut ! Glorious underwater fun as he goes in search of the Mernaid of his dreams. Merlyne “the ever so scary”, this wicked wizard has spun his magic spells in castles and battlements the length of the UK, providing bespoke shows for CADW, English Heritage, The Royal Signals, THC, The Parachute Regiment and Michael Eavis of Glastonbury Festival fame . 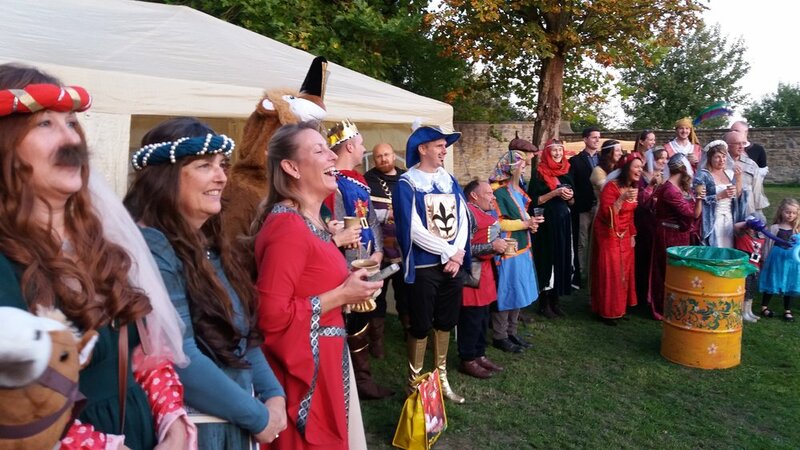 Offering Meet and Greet, Toastmaster, Shows, Fire Shows, Walkabouts and Workshops it’s the complete medieval package. With solo shows or as a double act with his untrusty servant Droole the Foole. This interactive show features enormous wit and rumbustious charm that is as perfect in a courtyard as in a banqueting hall. 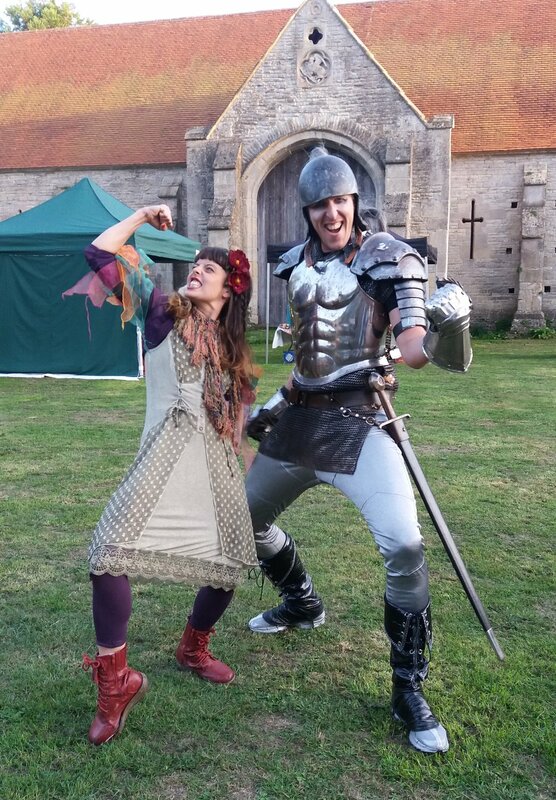 Shows can include an axe and knife throwing double act and audience participation games, jousts, competitions and challenges dependent on the clients’ wishes. In addition Knife and axe throwing workshops can be provided during the Reception with guests competitions if required plus crossbow, card sharp and blow dart target ranges can be arranged. Merlyne " the ever-so-scary "
Clun Green Man Festival, Michael Eavis St Michaelmas Faire , Caerphilly Castle, Chepstow Castle, Margam Castle, the Parachute Regiments. SFSG “ Game of Thrones Summer Ball 2018” Royal Signals Regiment Medieval Summer Ball. 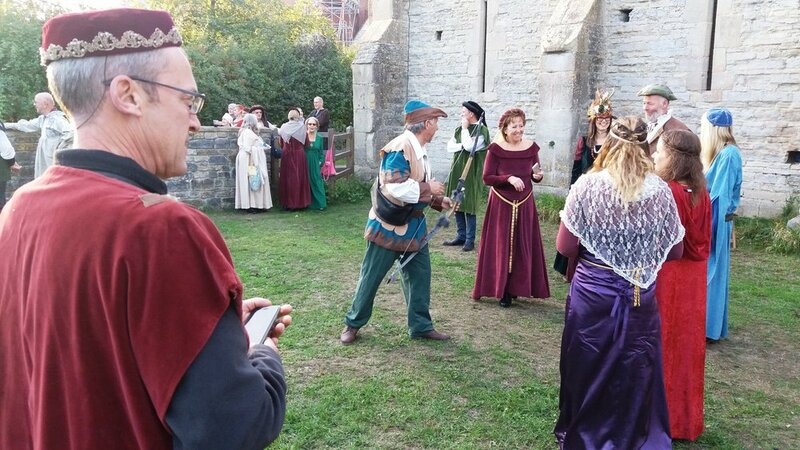 Perfect for your Medieval Festival, Banquet, Wedding or Dining In, 10, 30 and 40 minute shows available perfect for Stage, Fetes, Family Fun Days and Cabarets.
" Has he really cut your tongue off? "Yeth" , said Droole . Shows :- 4mt X 5mt X 4mt , level decking, ground, close cut grass( sans clippings) or stage. 10 to 35minute shows with meet and greet, walkabouts and workshops to suit. Client/shows ..,The Green Man Festival, Knights of Margam Park, Llanelli Animal Magic Day. Pilton Tithe Barn, Michaelmas Feast Glastonbury, Merlin Festival in Carmarthen,CADW, The Royal Regiment of Signals, The Honorary Artillery Company, Prince of Wales Regiment, Cosmeston Medieval Village, etc. A Prince amongst the wizards, headmaster of the world famous academy of Bogwarts, this charmer has a way with words and wit that fair make a man roll about on his back like a helpless turtle, with award winning circus skills and some shadey bits of fire and magic he’s the match of most men and fair wins the children over with his scary skills. 3 X 30 minute Parades / Walkabouts or 2 X 25 minute Shows or combinations .